Proper tyre management lengthens a tyre’s life by up to 30%; bad management can reduce it by 25%. Fuel represents 25% of a haulage company’s costs. The ATA finds that at 30% under inflation, fuel economy drops almost 4%. Bridgestone’s research suggests that reducing premature damage can increase the residual value of a heavy duty tyre by up to £90. Public policy regarding health, safety, fuel economy, emissions, climate change all bring added focus to transport and the use of tyres. The prime social objective is to reduce traffic accidents and reduce pollution level. Independent market research finds 20% of road accidents are caused by tyre failures. Whilst all new passenger car models in the USA and EU must be equipped with a TPMS, old ones do not, and surprisingly nor do commercial vehicles. 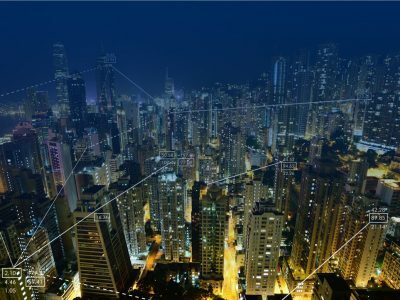 The connectability and falling cost of tags, sensors, cloud computing, data storage, together with the rise of the smartphone and ubiquity of big data are radically transforming businesses. Not only can they make and supply things once thought to belong to science fiction, they are are also making businesses completely rethink what they offer to customers and how to price what they provide. Two big themes are coming together in transport: the Autonomous Vehicle and the Intelligent Tyre. 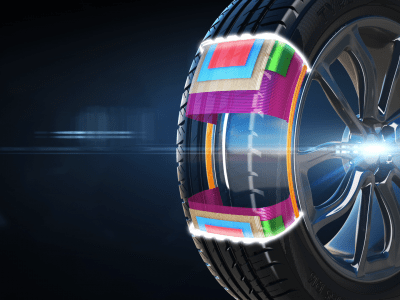 The Intelligent Tyre is a sensor-rich product that provides end users with the means to increase lifecycle value and performance far beyond what is possible now. Value now lies in both use and ownership in a way not applied before. For fleet managers both increased savings and higher retained value and critically important. Tyre manufacturers are already supplying a physical product priced by consumption (i.e. by kilometre). The Intelligent Tyre will transform them into service companies, managing the tyre on behalf of the user. While the Intelligent Tyre can live without the Autonomous Vehicle, the AV cannot live without the Intelligent Tyre – indeed it is a vital component of it. Tyres are the only points where a vehicle touches the road: they are the sensory equivalent of its fingertips. Silent Sensors is very much focused on helping tyre manufacturers move from today to tomorrow, and on to the future, especially for commercial transport. Tags and sensors are at the heart of performance measurement, monitoring and management of tyres. TPMS helps maintain tires properly, and with fewer failures transport is not only safer but reduces an operator’s risk of legal liabilities. TPMS helps fleet managers reduce fuel consumption, increasing efficiency and improve CAFE. Modifying a driver’s behaviour to improve performance is also a key part of fleet management; the application of this trend makes it possible to integrate tyre data into performance assessment, extending warranties and reducing premiums. All this means more money retained by the business. Today the ever-cheaper cost of tracing, tracking and sensing, the explosion of big data, the arrival of the Internet of Things and the ubiquity of smartphones means that, more than ever, sensors are the essential foundation for tyre management systems. We call it Sensing as a Service. Silent® TPMS monitors the air pressure and temperature inside pneumatic tyres on light and heavy vehicles. It reports tyre pressure and temperature data in real time to the driver of the vehicle, via a gauge, a pictogram display, or a simple low-pressure warning light. There are two types – direct (dTPMS) and indirect (iTPMS), installed in the OEM (factory) level as well as an aftermarket solution. Silent® TPMS starts with a unique identity for the tyre which serves as a Certificate of Provenance that lets people track and trace its physical location at a given moment in time throughout the supply chain, from manufacture to distribution, warehousing, usage, repair, retread and recycle at the end of its usable life. Paired with pressure and temperature sensors, digital tracing and sensing provides a low cost route to track a tyre throughout its life. This improves supplier efficiencies, reduces errors in recording data, reduces the risk of loss, keeps inventories balanced, integrates with a whole ecosystem of management systems and serves as a Certificate of Provenance for the eventual recycling of the tyre at the end of its life. Silent® TPMS is telematics neutral, open to integrate with the vehicle’s existing sensing systems. 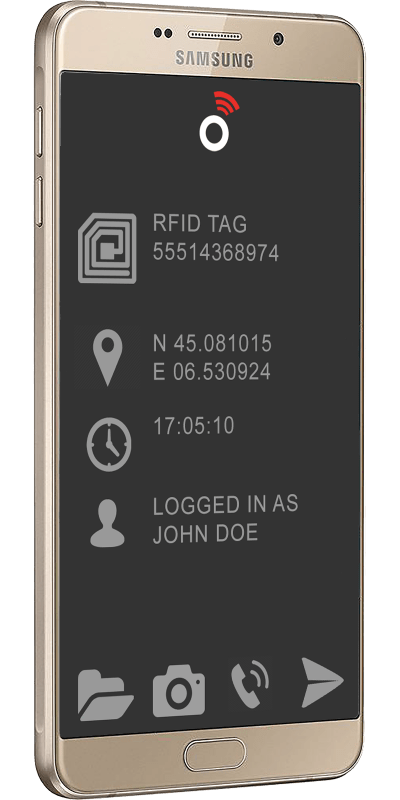 With open APIs the data generated by our RFID readers and sensors can be outputted directly to your own Fleet Management Systems and your ERP.